Westfield Football Club scored three goals in the first three minutes en route to an away victory on Saturday. 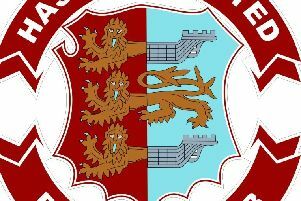 The Westies’ incredible start set them on the way to a 5-2 win against bottom-of-the-table Ferring in Southern Combination League Division Two. Westfield opened the scoring when Terry Johnson delivered a free kick into the Ferring six-yard box and Levonte Johnson tapped home. They doubled their advantage when the unmarked Jordan Harley applied the finish to a left wing move and Fabio Histed made it 3-0 with a diving header at the end of a slick attack involving Robinson, Ben Ferguson and Ian May. Westfield seemed to be able to do whatever they wanted with the ball in the first 10 minutes, but then the wind whipped up in their faces and conditions became dreadful. As Westfield switched off somewhat, Ferring pulled one back before the break with a free header from a corner. Westfield restored their three-goal cushion with a goal that owed much to the conditions. Robinson kicked the ball into the air from approaching 40 yards out and the home goalkeeper seemed sure to claim it until a gust of wind took the ball to the left of him into the net. Ferring again pulled one back only for Westfield to have the final word when went through one-on-one and toe-poked the ball under the goalkeeper. Westfield: Da Costa; May, J. Stapley, Histed; Frazer-Bates (H. Stapley), Ferguson (Charlton), Higgins, King; Robinson, Johnson, Harley (Paine).